Motion For Life is a clinic that I am blessed to be called the owner of, but I really feel I am actually a part of a wonderful family that makes this clinic special. My educational background is as a Physical Therapist and a Massage Therapist, but my life history is one that involves my own journey recovering from chronic pain and returning not only to an active lifestyle, but a journey that has lead to healing of the mind, body and spirit. I have been very fortunate to have a very diverse history in Physical Therapy. I worked as a traveling physical therapist for 3 years in which I worked in Out-patient, in-patient, full rehab, trauma and ER settings along with neurological settings and in sports settings. Along with this, I have spent years specializing in the John Barnes Approach to Myofascial Release. Including working at John's Pennsylvania clinic for over 2 1/2 years. While at the Pennsylvania Center I was able to work along John and other highly skilled Myofascial Release therapists. We treated people from around the world with a multitude of diagnosises. My experience has lead me to write books: The Patient's Guide and The Therapist Guide to Understanding The John F. Barnes Approach to Myofascial Release- books that give simple answers to the most frequently asked questions about Myofascial Release. And Feeling Your Way Through- which gives insights that I have learned on my healing journey. I started Motion For Life in 2007 and am thrilled to see how it has grown and expanded. And I feel very grateful that I am a part of the family here. Lisa Chambers, PTA has been a physical therapist assistant for over 15 years. She is very experience in the pediatric setting which also used hippotherapy as a modality. Lisa also has clinical experience in out-patient, in-patient and long term rehab facilities. Lisa has experience working with all ages of clients with a variety of dianoses. 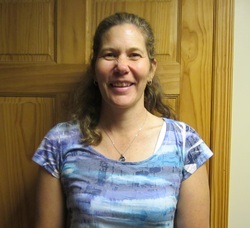 Lisa has become a very skilled myofascial release therapist along with her skills that she brings to the clinic. Jenni Walters, PTA has been a physical therapist assistant for over 15 years. She brings a wealth of experience to the clinic working in outpatient, rehab and skilled nursing home settings. Jenni has had experience with both children and adults with a variety of diagnoses. Jenni is a very skilled manual therapist and likes to focus on empowering patients. Kathy Beachler is a Physical Therapist and Body worker with extensive experience in treating various patient populations and specializes in Myofascial Release. Much of Kathy’s experience has been in treating complex patient cases, which did not respond to traditional treatment. She has her own private practice, Body Lights, which focuses on integrative physical therapy and body work, incorporating MFR, energy work and education to promote healing. Kathy will be helping at Motion For Life on Mondays and Thursdays. Brianne Radtke- AKA "The Office Goddess" Motion For Life was extremely blessed in 2010 when Brianne became the office manager. She runs the office, tries to keep the therapists on track, and also is in charge of an incredibly long list of tasks that includes everything from scheduling all the patients to taking care of the dogs! If you have questions on insurance or any other question about all the many activities at Motion For Life, she is the one to talk to. Brianne is an integral part of the Motion For Life team.